I was asked if I was offended by the Greggs “Nativity Scene”. I’m much more offended by the fact that over 4,000 people will be sleeping rough in the UK this Christmas. I’m more offended that the drug companies make massive profits while this year 1.5 million children under the age of 5 will die of vaccine-preventable diseases. 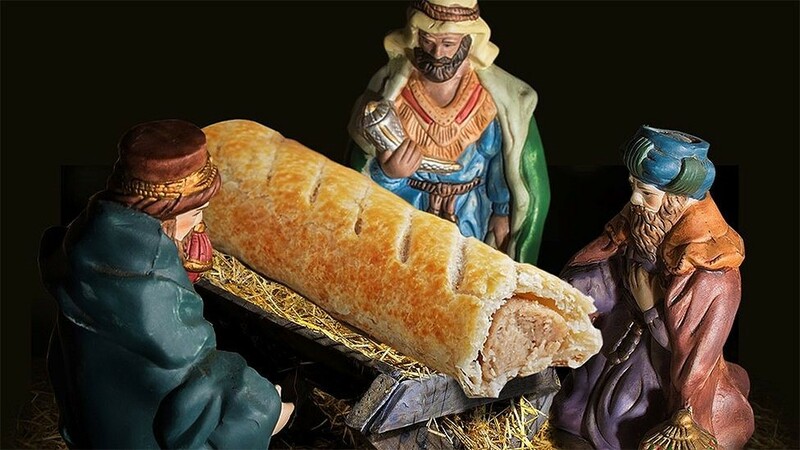 A sausage roll in a manger won’t get me upset. Even as a card-carrying Christian. In fact the guardians of evangelical faith in the UK, The Evangelical Alliance told BBC Newsbeat they were "not too outraged"
Faith is a dangerous area to exploit commercially because of sensitivities. You can wave the banner of “free speech” but if you go up to a guy at a bus stop and tell him his girlfriend is worthless, you’d expect a negative reaction. With freedom comes a responsibility. I’ve seen people mocking those people who are upset by it… but when something means something to people on a deep level I would defend their right to BE upset… to boycott, even to demonstrate! (But not to take violent action). The people upset are not religious nutters, however nutty you might feel their beliefs are… but people, friends, colleagues, customers and potential customers. You may not agree with their beliefs but they do run deep. Greggs have upset people. In a poll I saw online it was about a third of the sample believed they had crossed a line. I can imagine the meeting after the controversy with the marketing people defending the “social media coverage money can’t buy” and all the “free media coverage”. Look at the number of tweets, shares and likes! But it wasn’t even particularly funny, was it? There’s no pun or clever gag. No play on words. Have Greggs made a mistake? Let’s see if the Christmas tills keep a ring-ting-a-linging.